Siddhant Jain is a popular Indian Tech youtuber, he runs a youtube channel titled SidTalk where he usually uploads videos related to tech. He was born on 25 October 1994. Siddhant Jain is 24 years old. He lives in Bhopal, Madhya Pradesh, India. He explains technology deeply in a simple manner that is why people like to watch his video and his channel has 2.5 million plus subscribers and that’s a huge number. He started his youtube channel SidTalk on 17 February 2016 and he uploaded the first on 27 February 2016 which is about HTML but he did not get many views after that he made a short video about Disable Windows 10 Update Permanently and that video also does not get much good response. So after some time, he made a video about Bhim app and which was trending at that time so he gets a good response and gets good views and which motivated him to continue making videos on youtube. His videos are very informative and well-researched videos. His channel SidTalk is on the list of one of the fastest Indian growing tech channels. Debut YouTube: What Is HTML? Siddhant Jain started his startup Fast2Sms on class 11. His most of the new videos cross 1 million views easily. 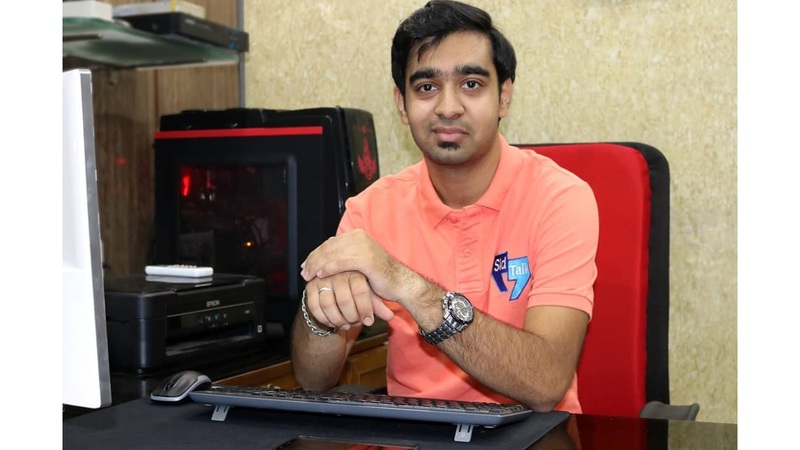 These were the latest information about SidTalk (Siddhant Jain) Biography, Age, Height, Weight, Earnings, Wiki, Girlfriend & More. Please do share guys this post with your friends and keep visit on NamesBiography.com for Indian celebrities biographical updates. You may share your experience or any kind of suggestion with us by leaving a quick comment below. Thank You!